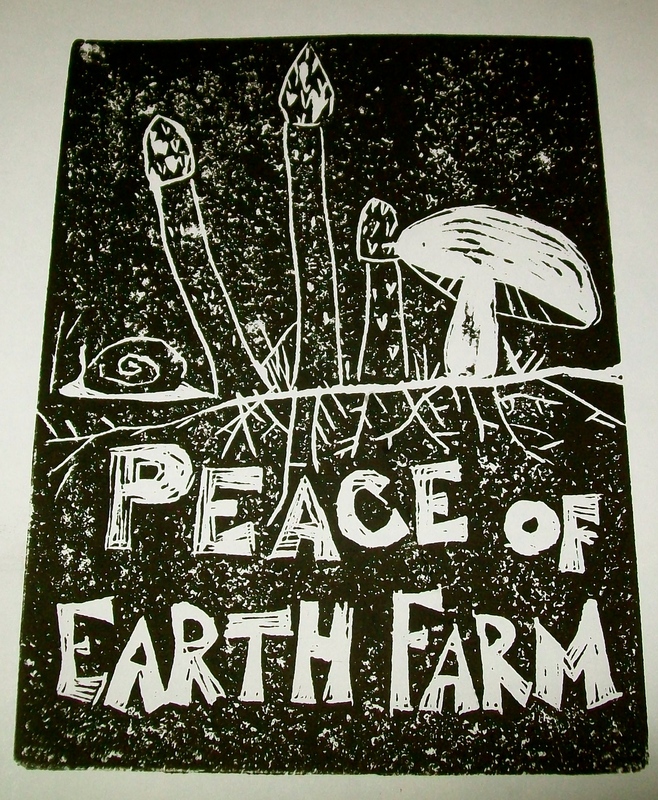 Peace of Earth is a small farm in Albany, VT dedicated to building soil and growing tasty nutrient filled food. We strive to use the wisdom of natural systems as our guide. We are in the process of developing our gardens and improving the soil without using mechanical tillage. Instead we create gardens with the help of chickens, pigs, and sheet mulching. Sheet mulching involves covering the ground with a barrier layer that will break down within a season (cardboard or newspaper) topped with composted manures and mulch layers. This smothers weeds, adds fertility and keeps the soil covered. We do not use pesticides, herbicides, or chemical fertilizers. We prefer to plant organic and open pollinated seeds as much as possible so that we can save our own seeds and keep a wide variety of delicious heirloom varieties alive. 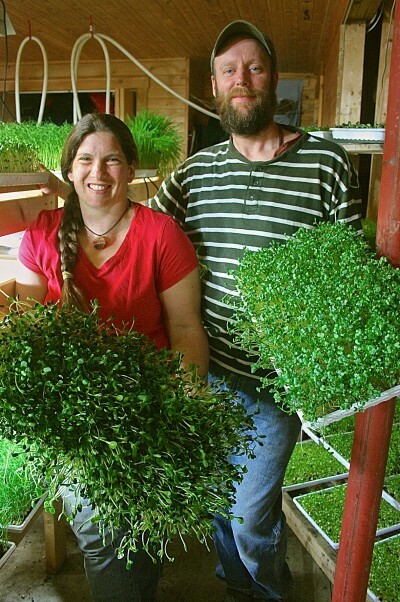 We grow sprouts and shoots year round for sale at local stores and restaurants. We also offer Community Supported Agriculture shares June-October. Mushrooms are a new venture for us, we hope to have shiitakes for sale in 2016. A wide variety of fruits have also been planted on the farm and over time will be a larger part of our offerings, perhaps some in the pick your own format. Here’s the sweet lady that made it all possible. Her name was Hazel and she was most definately the sweetest pig we have ever had. Thank you Hazel for bringing us joy in life and beyond. Sage helps with the seed ordering process. She is helpful with pretty much all activities that involve crinkly paper and take place on the couch. Greetings from NW Oregon! I am so glad you found us. What a lovely farm you have.